Tilly: Sometimes I think my brain is full of locked boxes. And that one day there will be too many boxes and my brain will explode. Then fourteen years of scary things will cascade to the floor and I’ll finally have to look. But not now. Not yet. Jan: The stars of the cold north are not visible to southern eyes, the eyes of his mother. If he were a real Chilean boy, what stars would shine for him? How can he imagine his mother if he cannot imagine her sky? But we have nothing in common. But we have never met. Tilly’s plight is deeply moving and her story is beautifully developed. 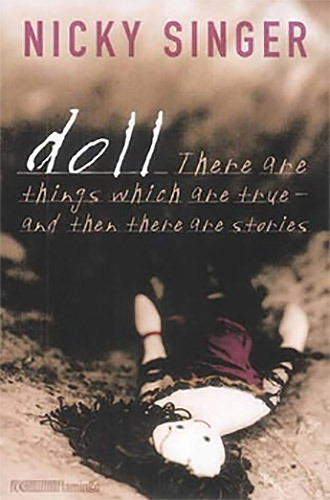 Nicky Singer tells another gripping story in Doll. When I was researching myths for Feather Boy, I came across an old Russian folk tale called ‘Vasalisa’ in which a mother, on her deathbed, bequeaths her daughter a doll and tells her that whenever she loses her way or is in need of help, she should ask the doll what to do. And so the child does and, every time, the doll helps her. I began thinking – this is an OK story if the mother is a good person – but what if she isn’t? What then?